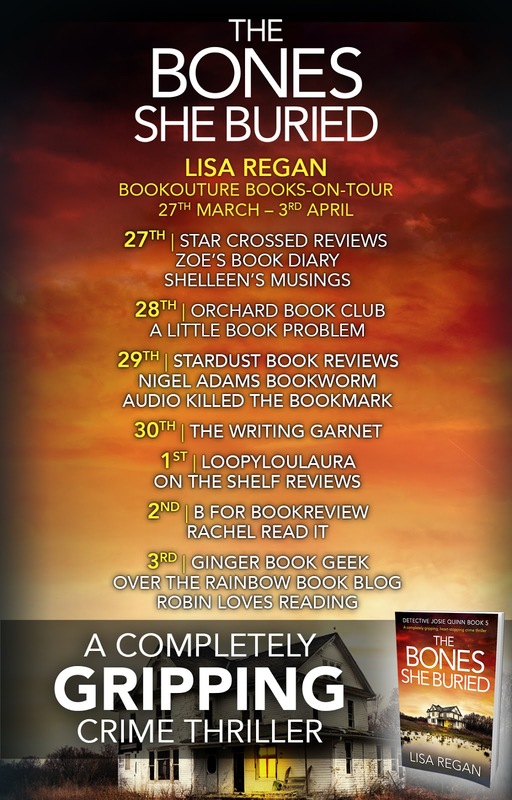 Today is my stop on the Blog Tour for The Bones She Buried by Lisa Regan. 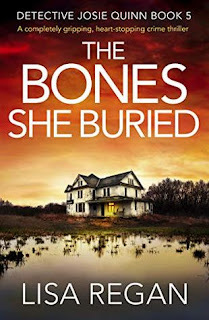 As she delves deeper into Pratt’s case, Josie quickly discovers he had a brother who’s body mysteriously washed up on the banks of a river. There’s also a diary entry suggesting that Colette may have met him on the last day he was seen alive. Can Josie believe the unthinkable, that a kind old soul like Colette might have been involved in their murders? And, will Josie’s new relationship with Noah survive the accusation? What a tragic beginning to a enthralling story! Stressed out, but happy to be with her partner Noah Fraley, Detective Josie Quinn is headed to his mother's for dinner. Devastatingly, thy discover Noah's mother, Colette, dead in the back garden. Shocked, weary and full of disbelief, Noah is beside himself. Josie is in full cop mode. She desperately looks for the killer. Josie must act fast, because things look very, very bad. Upon searching through Colette's home, a hidden file is called and it is labelled "Drew Pratt". This puts a difficult layer on whatever has happened to Colette. The woman was practically a saint. However, there was a lot of damaging things turned up and it seems Colette was involved in nefarious activities. Can Josie track down anyone related to Pratt? Unfortunately, inasmuch as they locate Pratt's daughter, she, too, has been murdered. What was Colette keeping secret? Well, these murders proved to be only the tip of the iceberg. To say more would definitely be adding spoilers. With Josie investigating Colette's background it is no surprise that this wedges a gap between her and Noah. So, this crime thriller has a great emotional edge. All the while, secrets and lies are being exposed. 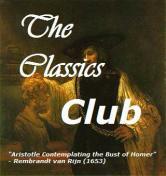 I have read two of the books in this compelling series. Although it has been months, when I read the first two or three lines, I clearly remembered Josie, Noah, Gretchen and others. I felt a strong sense of connection as I moved deeper into the pages of this book. I love Lisa Regan’s style of writing. It is sharp, It is affecting. The ending was a shocker, a true shocker. It left me wanting for more. 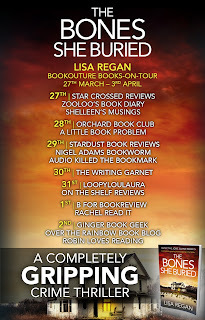 Lisa Regan is an Amazon bestselling crime novelist. 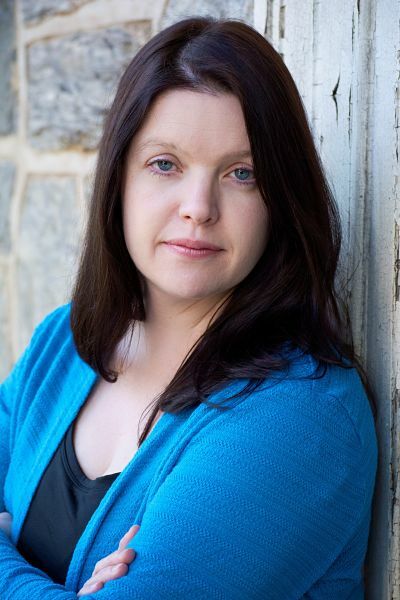 She has a Bachelor’s Degree in English and Master of Education Degree from Bloomsburg University. She is a member of Sisters In Crime, Mystery Writers of America and International Thriller Writers. She lives in Philadelphia with her husband and daughter. Find out more at her website: www.lisaregan.com. Wow what a great sounding book. I love your five star review too. Wow this one sounds intense! Love thrillers that keep me turning the page! So glad you enjoyed this one :) And I really like the simplicity of the cover. Draws me in, even though I don't often read crime thrillers. Great review!